You will depend on these people in order for your business to run properly. Understanding how to do this can be difficult. In this presentation, Justin will talk to about how you can develop an internship program that will provide a “minor league” system of trained (your way!) interns ready to fill spots on your team. He will provide you with a turnkey manual to help you develop a prospering internship program that will help grow your business from within. This presentation is useful for anyone looking to improve his or her business. 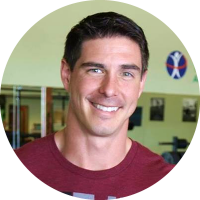 Justin’s business is personal training and fitness facilities but this presentation can also be applied to other businesses that want to improve how they hire and train their staff. Every business, especially small businesses, needs a substantial internship program in order to grow successfully. of your club culture and follow your overall vision. You will be able to sleep at night knowing that your employees are invested in your business and not just there to collect a paycheck. Understand how to get your employees to learn your system and "buy into" what you are trying to create with no push backs. Create a hiring system that keeps you prepared when one of your assets (employees) leaves or is let go with short notice. Understand what is needed to attract talent to want to learn from you and work for you.